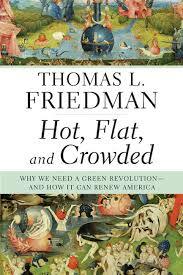 Thomas Friedman described ‘continuous partial attention’ as a disease of the modern age in his book ‘Hot, Flat and Crowded – Why we need a green revolution and how it can renew America’ [Farrar, Straus & Giroux, New York, 2008]. Most university students suffer from this disease, which makes it difficult for lecturers to attract and hold their attention. An NSF-funded consortium of university engineering departments in the USA has developed a strategy based on using Everyday Examples of Engineering to engage students (for exemplars see http://www.engageengineering.org/?page=161 ). A Biological Science Curriculum Study in the 1980s developed the concept of 5Es as a framework for lecture or lesson plans based on the earlier work of Atkin and Karplus [Atkin JM, & Karplus R, Discovery or invention? Science Teacher, 29(5):45, 1962]. The 5Es are: ENGAGE, EXPLORE, EXPLAIN, ELABORATE and EVALUATE. I have edited a series of lesson plans which combine the 5Es framework and Everyday Examples of Engineering principles [see http://www.engineeringexamples.org ], which are intended to support lecturers who want to use these examples in their teaching. The lesson plans describe how the engineering principles can be applied and explained as well as providing worked analyses of the examples. The worked analyses will also be useful to students although full explanations of the underlying principles are not included because it is assumed that these are well-known to the lecturer. In my post about ‘Bridging cultures’ on June 12th, 2013, I made a commitment to write a series of posts about Everyday Examples of Engineering concepts. When they are relevant, I intend to attached 5E lesson plans to these posts. To quote Samuel Johnson: “the two most engaging powers of an author are to make new things familiar, familiar things new”; I aspire to this and through the lesson plans help others to achieve it in the classroom. This entry was posted in everyday engineering examples, Soapbox and tagged 5Es, education, Engineering, innovation on June 26, 2013 by Eann Patterson.